I've gone on a shopping spree for you and picked out the key great-to-haves to start making jaw-droppingly great pizzas. Get the entire pro pizza kit right here and enjoy extra savings beyond our usual great prices. 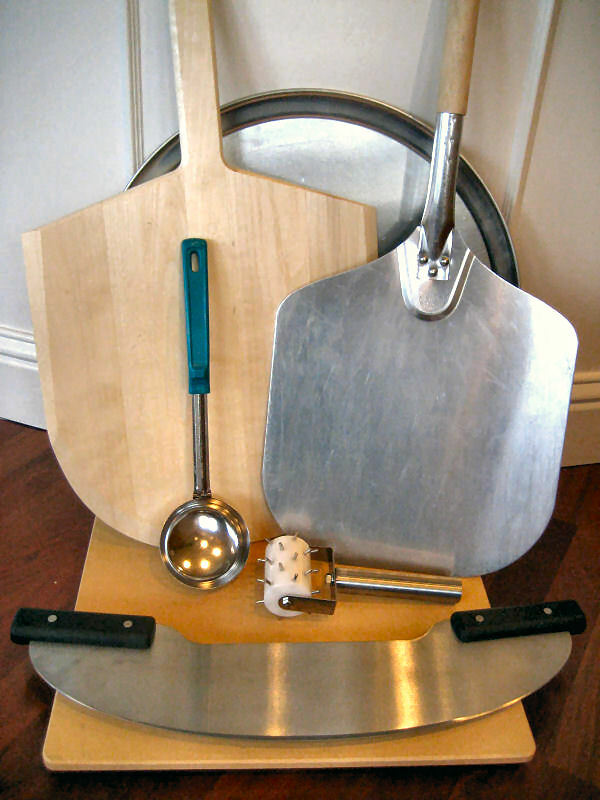 The goodies include our thickest, largest rectangular pizza stone, a dough docker that performs like a champ, a perfectly engineered stainless steel rocker knife, a spoodle to spread your sauce with flair, a wood peel to slide your pizza into the oven, a metal peel to slide it out with ease, and an 18-inch serving tray to serve your creation in style. I've included only the very best top quality professional tools. So you'll never have to upgrade. This is a sweet deal you'll savor for years to come. Professional Grade Rectangular Pizza Stone. 7/8 inches thick! Hardwood handle, 12 in L x 14 in W, 26 in overall length. Handles the largest pizza you can bake in a home oven.